Dafabet Devitt Racing have today announced the signing of Paul Jordan for the 2019 international roads season. The 26-year old will run exclusively on Kawasaki machinery in the Superbike, Superstock, Supersport and Lightweight classes with the Isle of Man TT and Ulster Grand Prix as the main focus. The team, operated by RC Express Racing, sees the Bristol-based outfit extend their successful partnership with Dafabet, one of the world’s leading online betting platforms and Devitt Insurance, one of the UK’s leading specialist motorcycle insurers for the third and fourth years respectively. That support has seen the team at the forefront of international road racing and firmly establish themselves as one of the leaders in the paddock. “After two successful meetings with the team last year, I’m delighted to have joined Dafabet Devitt Racing for 2019 and I can’t wait for the season to get underway,” said Jordan. “It’s nice to be going into the season with such a great team and group of people behind me with Roy and Ben have made me feel at home from the very first day. Having impressed on his two outings for the team last year at the Ulster and Macau Grand Prix meetings, Jordan will now campaign a full season for the squad. 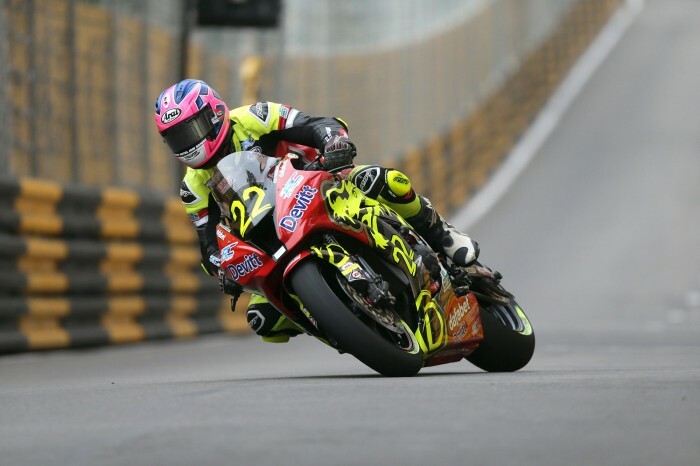 In addition, the former 125cc British Championship race winner will make his debut at the Southern 100 and will also contest selected rounds of the Pirelli National Superstock 1000 Championship. The team are also incredibly proud to announce that Ivan Lintin, who continues to make progress from the injuries he sustained at last year’s Southern 100, is still firmly a member of Dafabet Devitt Racing family and will be with the team throughout the 2019 season in a non-racing role.